Forget the Facebook–Cambridge Analytica scandal. The next big privacy leak could come from your own computer. Our computers contain hundreds — if not thousands — of documents. Personal emails, travel documents, tax files, health records, and other highly sensitive documents contain a wealth of information about us. This information is usually scattered across our hard drives in long-forgotten folders, or buried among all the countless email attachments gathering dust in our inbox. Here’s the scary part… Most of those documents are unprotected. They’re not encrypted, and you don’t need a password to open them. Anyone can read them. Our developers have baked up yet another security layer for our AVG Internet Security users, and we’re calling it Sensitive Data Shield. This new shield lets you scan your entire computer for Microsoft Word .DOCs, .PDFs, .TXT files, and other documents that may contain your private data. If it finds any, it will offer to seal off those files from unauthorized access. None of your private files leave your computer. 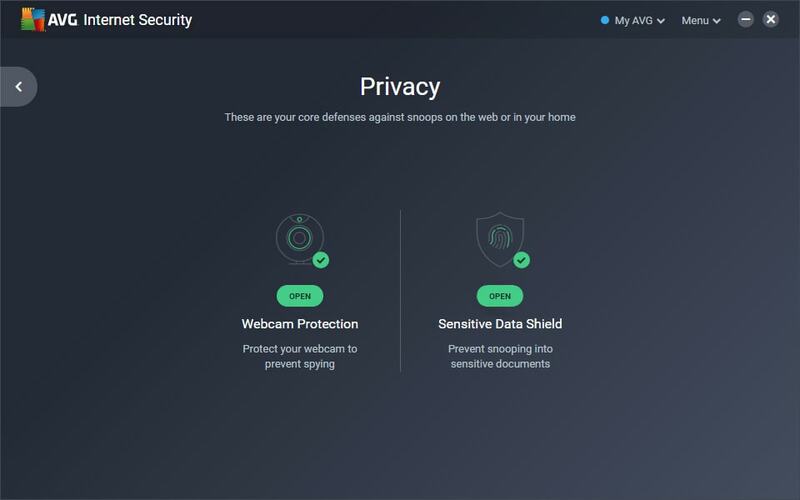 Sensitive Data Shield scans everything right on your computer, so not even AVG knows the contents of your documents. Sensitive Data Shield doesn’t need to hide your documents or relocate them to any protected folder. They stay in their original location, sealed off from unauthorized access. Anytime spyware or unknown applications try to open, read, or copy your files, we’ll immediately block it and warn you. From there, you can decide whether to trust the app with your private documents, or continue blocking it. Didn’t AVG Internet Security already stop spyware? You bet it did! We have some of the highest threat detection rates in the business. So even before we added Sensitive Data Shield, AVG Internet Security was already capable of stomping even the newest, never-before-seen forms of spyware. So why the new feature? Because you can never be too careful. The more layers of security you have, the less likely something nasty is going to slip through. In the unlikely event that malware gets through one layer, our many other layers are bound to catch it. So think of Sensitive Data Shield as yet another wall between you and the criminals. If you’re an AVG Internet Security user, you should have gotten this feature through an automatic update. It will have replaced your Data Safe in your Privacy menu on the main UI. You’ll find Sensitive Data Shield in your Privacy menu. Don’t see it? If you have any files stored in Data Safe, then you won’t have gotten Sensitive Data Shield yet. We’re giving Data Shield users time to clear out their Data Safe before switching them over to Sensitive Data Shield. 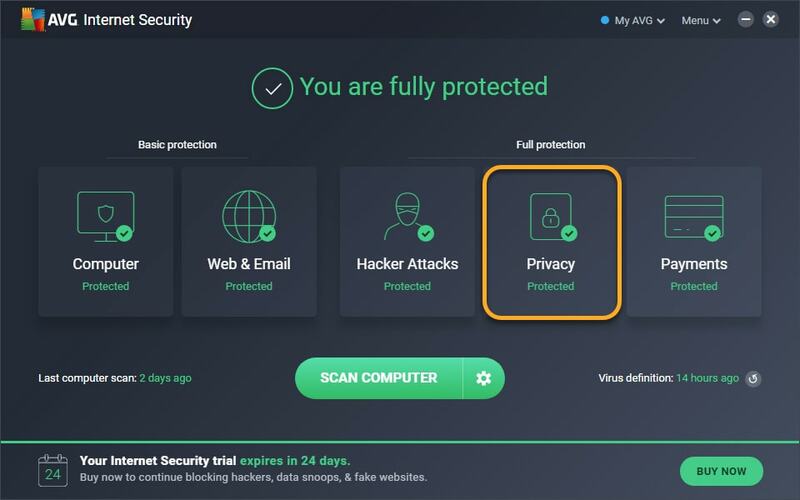 Download a free 30-day trial of AVG Internet Security to try out Sensitive Data Shield and lock down your privacy.